Ah, the majestic Chicago suburbs... home to Ikea, a bunch of Olive Garden restaurants, and a crap ton of pretty weird stuff. Not to mention SECRETS. So. Many. Secrets. Including. These. 11. 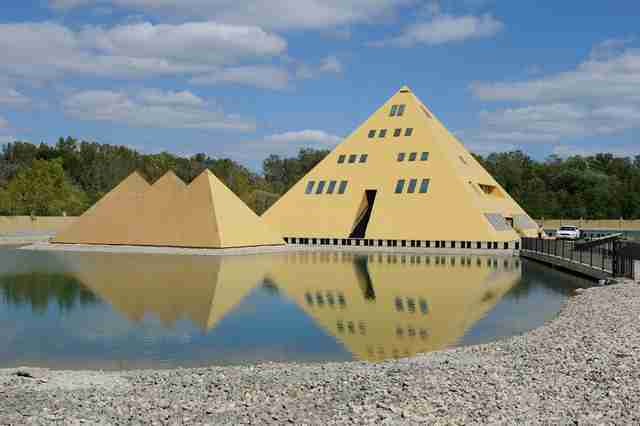 In 1977, Jim Onan decided that he wasn’t going to settle for some ordinary house, so he went ahead and built an insane 17,000sqft gold pyramid, complete with “triple pyramid” garage (gotta have that). Once his six-story pyramid domicile was fully built, he realized that something was missing... so he dug a moat around the perimeter of the home (to protect himself from Hyksos invaders, obviously), erected a 64ft statue of Ramses II, and covered the entire home in 24-karat gold. Thankfully, you don’t need to trespass to get a closer look at the spectacle. Tours of the home are available. 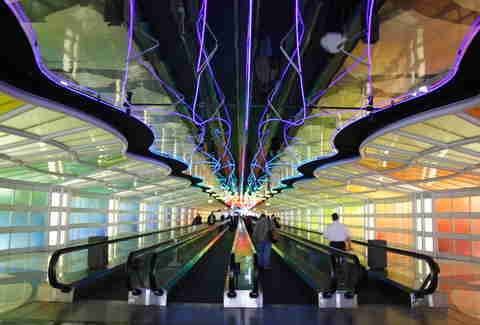 Chances are you’ve never flown out of Terminal 4 at O’Hare... unless you happened to fly international in the late ‘80s. Terminal 4 was a poorly designed international terminal that existed briefly from 1985-1993. When the new and improved international terminal was finally opened, it was named Terminal 5 in order to avoid any confusion. Because, you know... completely skipping over a number ISN’T CONFUSING AT ALL. According to a Department of Aviation spokesman, the number hasn’t officially been retired and will likely be re-used on a future building. Any day now. 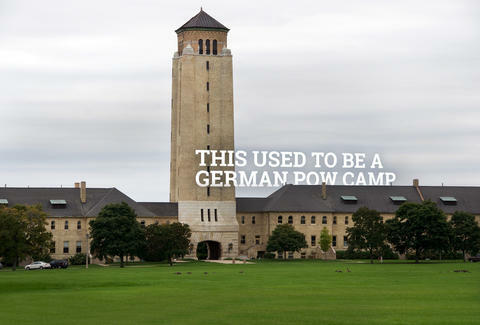 Crazy but true: during WWII, more than 425,000 German prisoners of war were held right in our backyard. 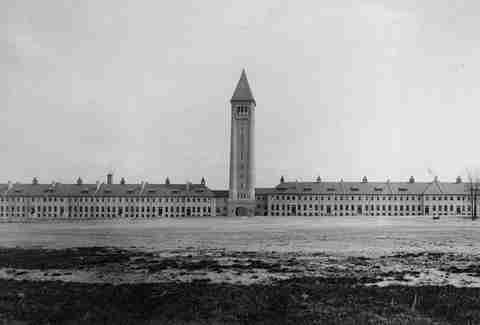 While POWs were held at camps in Arlington Heights, Des Plaines, Highwood, and Glenview, Fort Sheridan acted as a main hub. Some prisoners were German-Americans, but roughly 370,000 prisoners of war were actually flown in from overseas. 6. The Costco in Melrose Park? 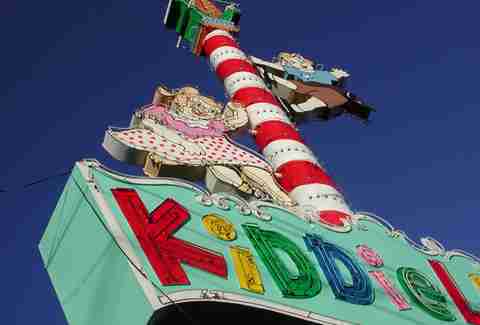 Used to be an amusement park called Kiddieland. The amusement park got its start in 1929 when Arthur Fritz began offering pony rides as entertainment for families suffering during the Great Depression. In 1977, ownership was transferred to Fritz’s descendants. Long story short, both sides of the family got in a fight and the landowners blindsided the park owners by failing to renew their lease, allowing the 80-year-old park to be torn down and replaced by a Costco. While the park itself may be long-gone, the famous Little Dipper roller coaster lives on at Great America and the Kiddieland sign has found a new life at the Melrose Park Library. 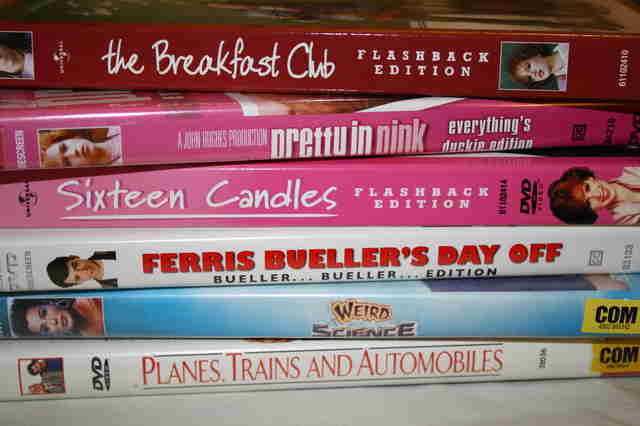 The fictitious suburb was featured in all of John Hughes’ films, including Pretty in Pink, The Breakfast Club and Ferris Bueller’s Day Off. While Shermer, IL may exist in name only, it’s pretty obvious where Hughes found his inspiration. His hometown of Northbrook was originally called Shermerville,and Glenbrook North High School is located on (you guessed it) Shermer Rd. 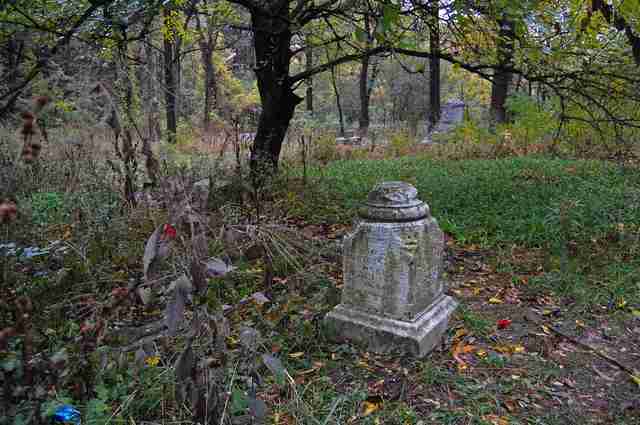 Thanks to an abundance of strange apparitions and incredibly creepy photographs, this abandoned cemetery in Midlothian is said to be one of the most haunted locations in the country. Yet even if you don’t believe in the supernatural, Bachelor’s Grove has a pretty creepy history. 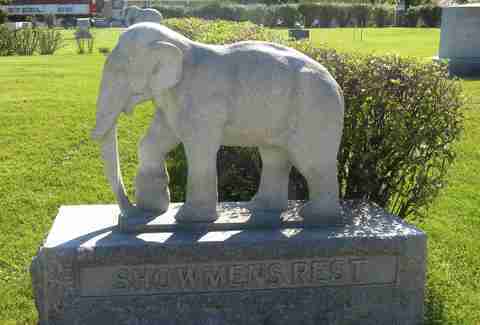 The cemetery was reportedly used as a *cough* “dumping ground” by the mob in the Prohibition era. Since the ‘60s, there have been countless reports of vandalism -- some even going as far as digging up graves and removing bodies. According to the Tinley Park Historical Society, there’s also been evidence to suggest that satanic rituals routinely took place in the cemetery. These days Bachelor’s Grove is home to a new, more terrifying group: suburban kids trying to scare themselves late at night. 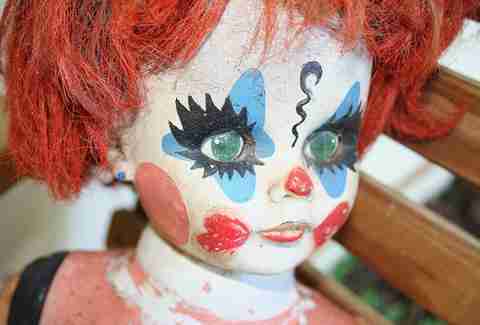 TERRIFYING. In the ‘70s, famed local “Killer Clown” John Wayne Gacy murdered 33 young males in his home at 8213 W Summerdale and buried all but four of them in his crawlspace. The home was eventually razed in an effort to locate the four missing bodies and the property remained vacant until 1988, when a nice young lady decided to purchase the property, change the address to 8215 W Summerdale, and build a home for her retired parents. Now if she’s not a shoo-in for “Daughter of the Year,” we don’t know who is. 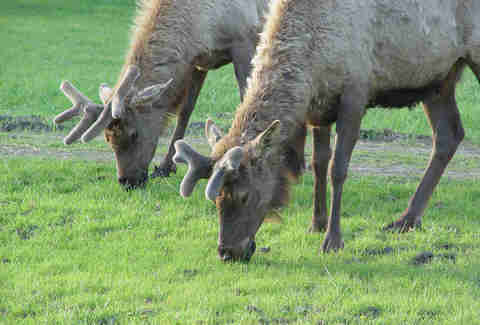 Obviously, elk are not native to the area. They were shipped in from Yellowstone National Park in 1925 and have lived in Busse Woods ever since. 11. 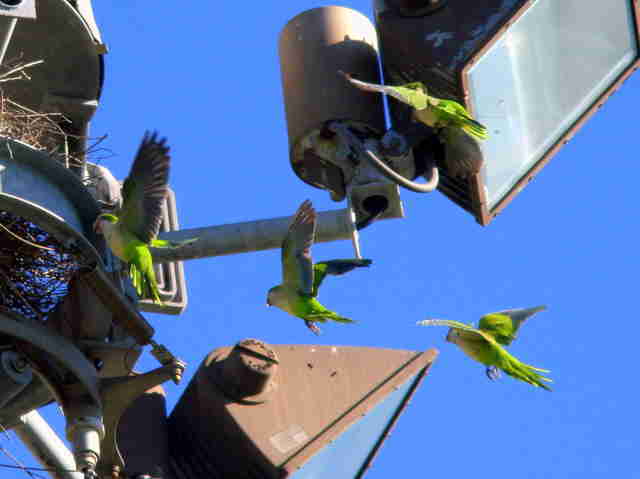 These wild South American birds live across the street from... the Bensenville police station? The Wild Monk parakeet (aka Quaker Parrot) may be native to temperate South American countries such as Bolivia, Paraguay, and Argentina, but they’ve called the Chicagoland area home since the ‘60s. According to experts, backyard bird feeders and the birds' inherent communal nature have helped them survive the harsh Chicago winters. While you can find the birds throughout the Chicagoland area, there are a few larger colonies, such as the one across the street from the Bensenville police station. Lisa Marie Chatroop is one of the founders of Chicago-based lifestyle blog Daily Urbanista. Although she was born in Chicago, she’ll begrudgingly admit to spending most of her formative years in the ever-so-charming suburb of Bensenville. Say hi to her on Twitter via @Chicagoista or @DailyUrbanista.